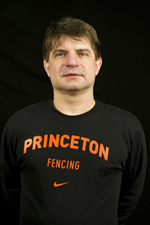 Zoltan Dudas completed his 11th season as head coach of the Princeton men’s and women’s fencing teams in 2016-17. Every year during his Princeton career, Princeton has earned a top-10 finish at the NCAA Championship, and since 2011, Princeton has been the only school in the nation to post a top-four finish every year. Princeton’s climb to the top of the NCAA standings had the Tigers in 10th place in 2007 and in 2008, his first two seasons as head coach, followed by an eighth-place finish in 2009, a sixth-place finish in 2010, a fourth-place standing in 2011, runner-up in 2012 and finally the pinnacle in 2013 with the program’s first joint NCAA men’s/women’s championship. The finish helped earn Dudas the 2013 U.S. Fencing Coaches Association Collegiate Varsity Fencing Coach of the Year honors. As an encore, Princeton finished runner-up in 2014 to stand as the only school to finish in the top two every year from 2012-14. Under Dudas, Princeton took the maximum 12 NCAA Championship qualifications every year from 2010-14 and returned to all-12 status in 2016. During his 11 seasons, Dudas has led Princeton fencers to 74 All-America accolades out of 115 NCAA participants with a high of 10 of a possible 12 accolades at the 2013 NCAA finals and 10 of 11 in 2015. When Dudas took over the Princeton program before the 2006-07 season, Princeton had not had an NCAA individual champion since 2001. Since his arrival, the program has had three, with Jonathan Yergler ’13 winning the NCAA epee title in 2012, Eliza Stone ’13 becoming Princeton’s first women’s saber title winner in 2013 and Anna Van Brummen ’17 becoming Princeton’s first women’s épée title winner in 2017. 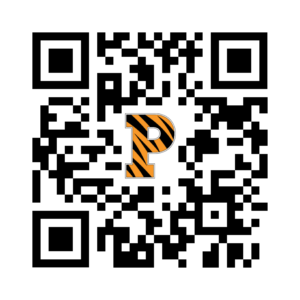 Under Dudas, Princeton’s women won five straight Ivy League titles from 2010-14 and returned to the top in 2016 and 2017, and the men’s team captured the crown in 2010, 2012, 2016 and 2017. The women’s team won 32 Ivy League matches in a row from 2009-15 and won 52 straight matches overall from 2013-15. Dudas also shared the Ivy League’s inaugural Coach of the Year award for women’s fencing in 2015 and earned the honor again in 2016 and 2017. Overall, Dudas has a 201-68 dual-meet record with the men’s team and a 249-44 record with the women. Both programs have set wins records under Dudas, with the Princeton women’s eight winningest seasons all-time coming over the last eight campaigns and the Princeton men’s nine winningest years all-time coming over the last nine seasons. In 2013-14, the Princeton women set a program wins record and posted the program’s first undefeated season by going 31-0 in dual meets. At the Olympic level, Dudas served as a U.S. épée coach during the 2016 Games, where Princeton fencer Katharine Holmes competed, and Susannah Scanlan ’14 helped the U.S. épée team win a bronze medal in London in 2012.Dudas, a native of Hungary, came to Princeton from Notre Dame, where he was an assistant for five years. Dudas helped guide an Irish fencing team that finished a combined fourth of 29 schools at the 2006 NCAA Championships in his final season after helping direct the men’s and women’s program to combined team titles in 2003 and 2005. Focusing his tutelage on the foil and epee competitors, the Irish had 29 All-America finishes and 34 NCAA Championships appearances in those disciplines. While at Notre Dame, he coached at the Escrime du Lac, a fencing club, where his fencers won three national titles. A 1992 graduate of Juhasz Gyula College in Hungary, Dudas came to the United States in 2000 after serving as a physical education teacher at both grade school and high school levels for 10 years, first as a student teacher and then as full-time staff. As a physical education teacher at Szechenyi Istvan High School, the handball team he led won the National Handball Championship in 1999, topping more than 250 teams. He also coached fencing at the Szegedi Postas Sport Club from 1985-1999. Once in the U.S., Dudas was a fencing coach at the Saturn Fencing Center in Cleveland, Ohio, from 2000-01 before moving to the Notre Dame, Ind., area. Before becoming a full-time assistant at UND in 2002-03, he served as a consultant to the Fighting Irish program for the 2002 season while heading up the fencing program at the Indiana Fencing Academy in Mishawaka, Ind.